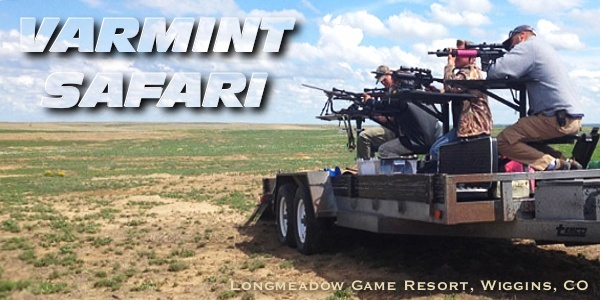 One of our favorite cartridges for small varmints is the 17 HMR. 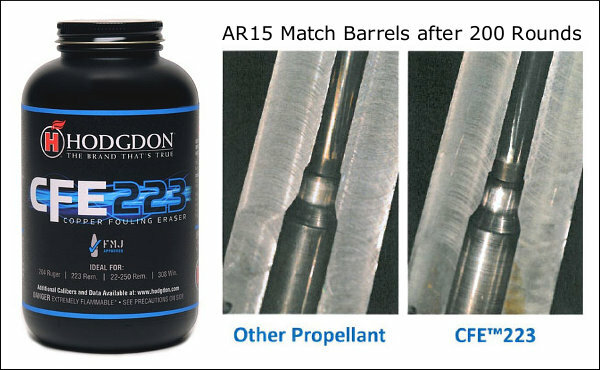 Yes, the newer 17 WSM rimfire has better ballistics, but 17 HMR ammunition is considerably less expensive, and you have a much larger selection of rifles and pre-chambered aftermarket barrels. And out to 150 yards or so the 17 HMR is great on ground squirrels and prairie dogs. 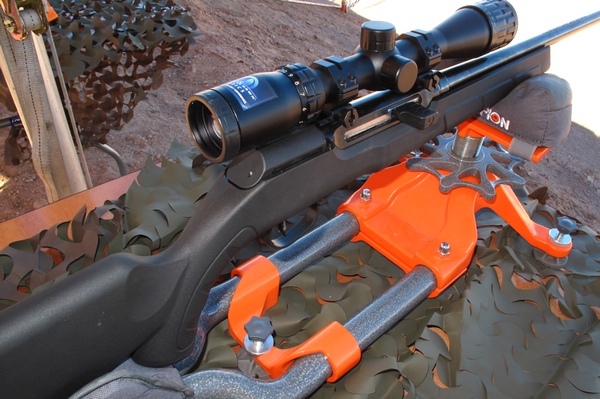 If you are looking for a 17 HMR varmint rifle, one rig you should definitely consider is the Savage A17. Now that this model is offered in a nice laminated thumbhole stock, you can get a fine little 17 HMR rifle for about $450.00. 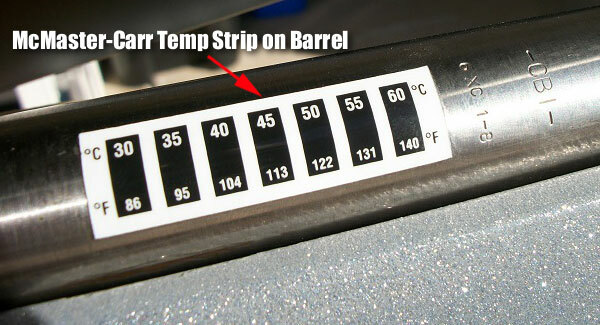 We much prefer the laminated stock A17 over the basic Tupperware version. How does an A17 shoot? That question was answered a couple seasons back by Varminter.com in a First Hunt Report. 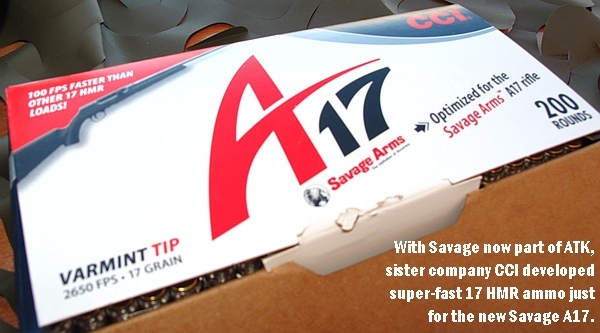 Accurate and affordable, the Savage A17 is also the first .17 HMR to feature a delayed blow-back action. 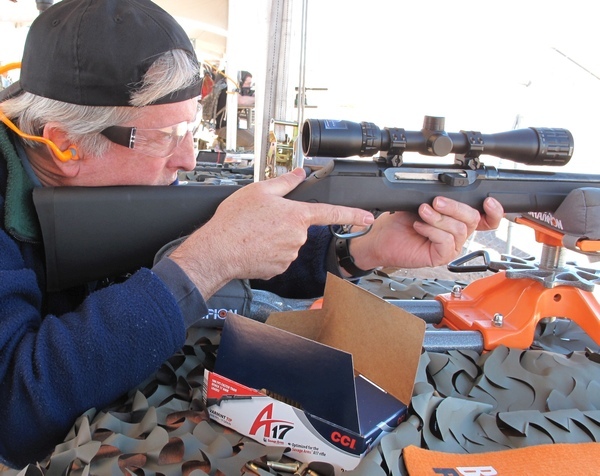 Eric Mayer, Editor of Varminter.com, put the semi-auto Savage A17 through its paces. Mayer wanted to see how the new Savage would perform, accuracy-wise, and he also wanted to see how the A17 fared in the field. 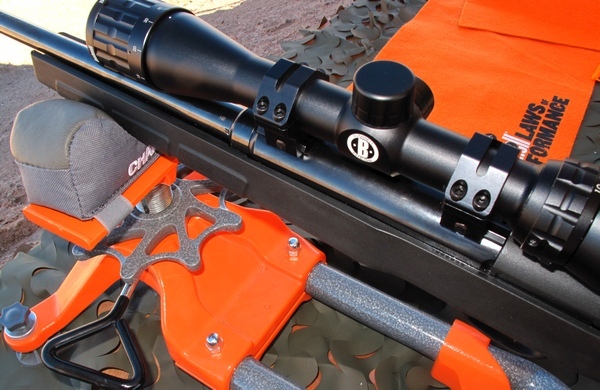 Mayer achieved one-MOA accuracy with the Savage A17 using the latest CCI-brand ammo, and he demonstrated the A17 is wickedly effective on ground squirrels. 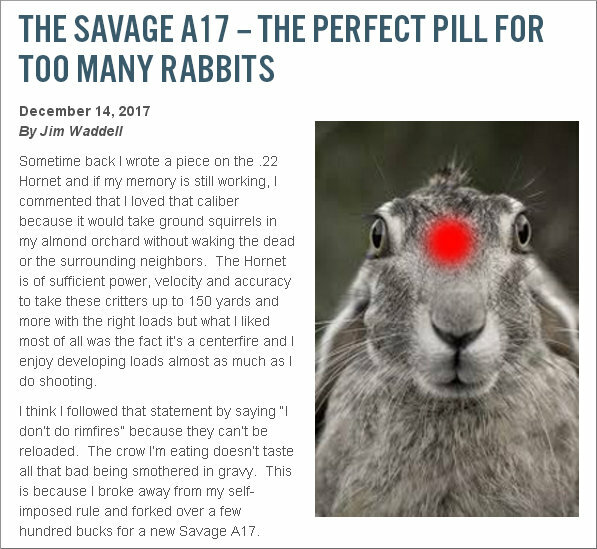 Below we’ve provided highlights from Varminter.com’s Savage A17 First Hunt Report. 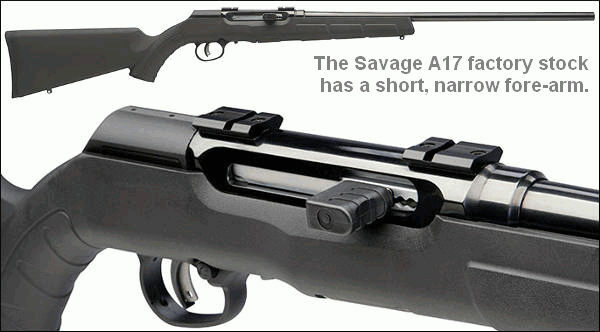 The Savage A17 went through a very thorough manufacturer’s testing process before it was released to the market. In fact Savage put over 500,000 test rounds through A17 prototypes. When AccurateShooter.com tested the A17 at Media Day — it worked flawlessly, so long as you make sure the magazine is fully seated. We had zero issues, making us think that reported issues may be related to “driver error”; specifically not seating the magazine properly. 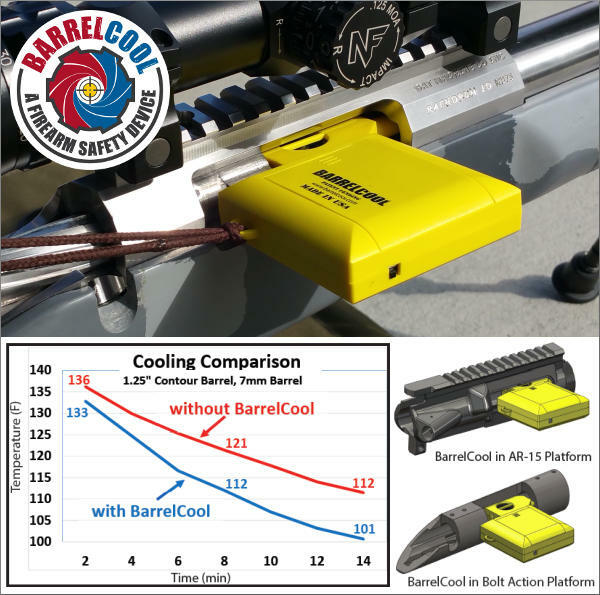 Watch AccurateShooter.com video with rapid fire sequence. Share the post "Semi-Auto 17 HMR Rifle — Savage’s A17"
Everyone should own a rifle chambered for the 17 HMR. This is an inherently accurate cartridge, with minimal recoil. 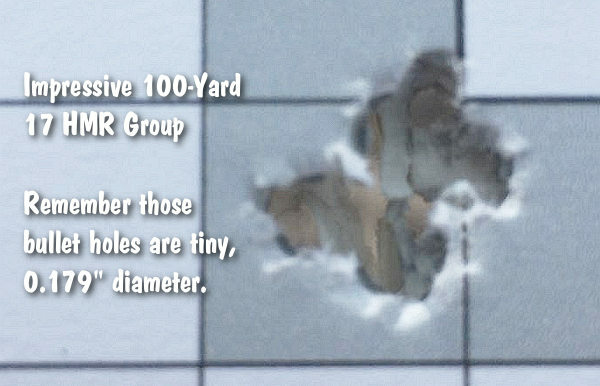 The 17 HMR, loaded with 17- or 20-grain bullets, is effective on small varmints well past 150 yards. The ballistics are way better than the .22 LR and .22 WMR. 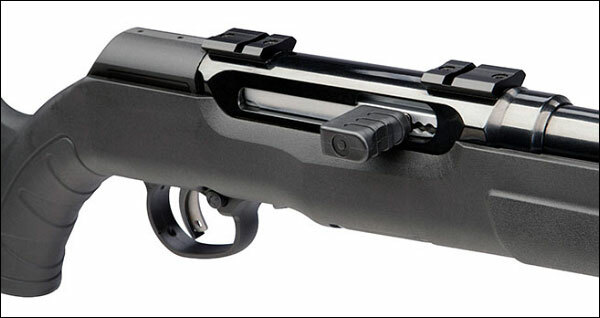 There are also a variety of good factory rifles available, including Savage’s innovative A17, now available in a nice, thumbhole laminated stock. And most importantly, the ammo is becoming more affordable. 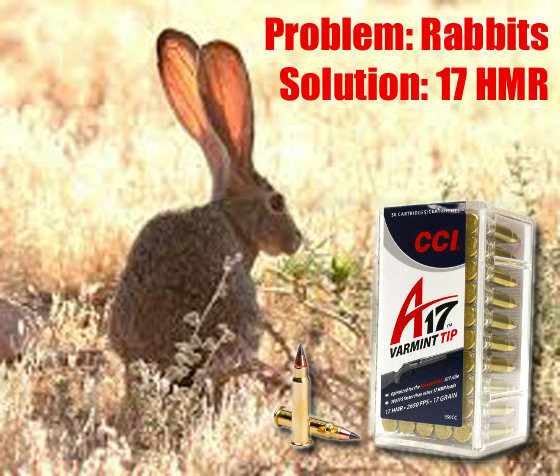 You can now get good 17 HMR ammo for under twenty cents per round. 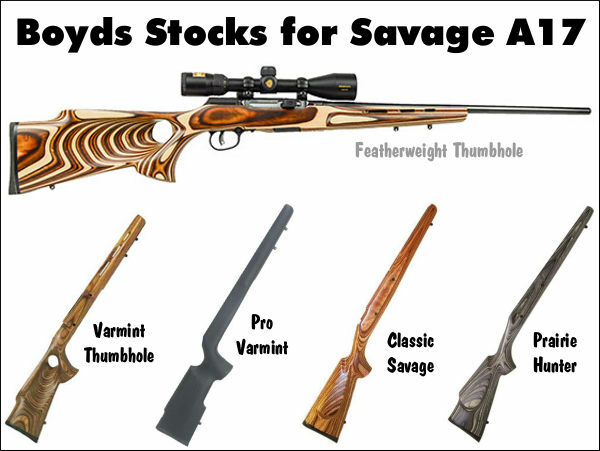 The laminated thumbhole stock version of the Savage A17 is a great carry-around varminter. 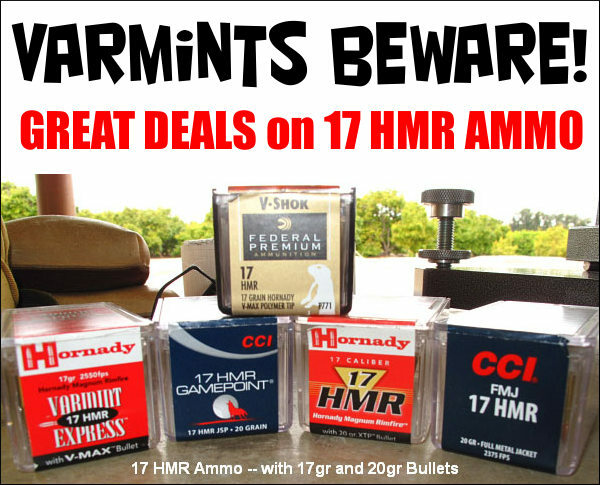 There are great deals to be had right now on 17 HMR — you can pick up a 50-round box for under $9.00. A couple seasons back you might have to pay $12-$15 for the same stuff. 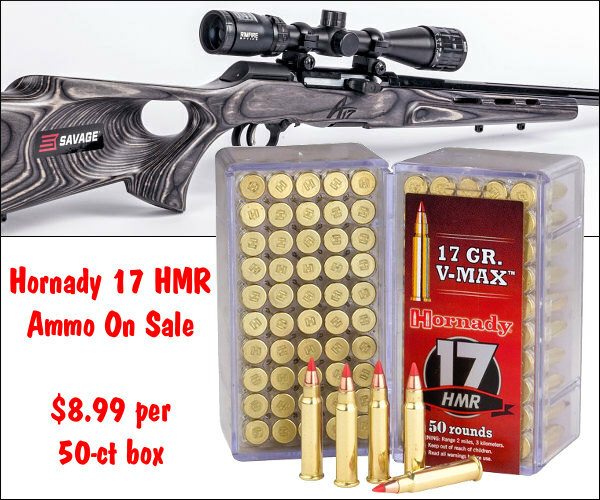 The best deal we’ve found is at Midsouth Shooters Supply, which has Hornady 17 HMR ammo loaded with 17-grain V-Max bullets, for just $8.69 (17.4 cents/round). 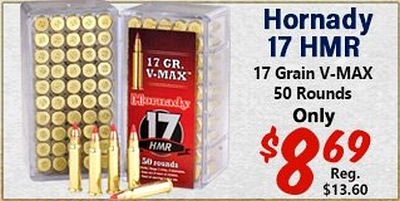 Hornady 17 HMR, 20gr XTP (50 rd), $9.99 at Outdoor Limited. 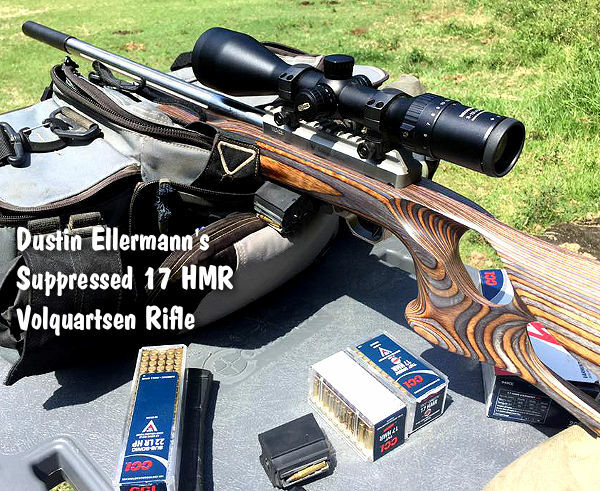 A while back we tested a variety of 17 HMR ammo types in a pair of 17 HMR rifles, a Ruger 77/17 and a Volquartsen (above), chronographing the ammo samples in both guns. Here are our chrono test results. 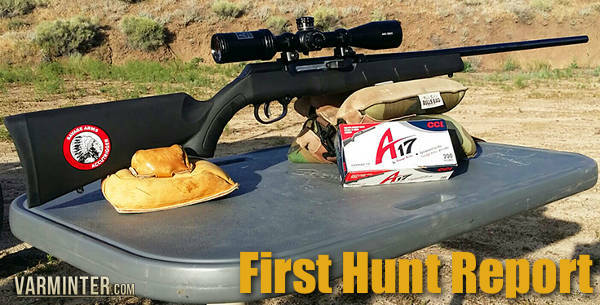 Share the post "17 HMR Spotlight — Affordable Ammo and Accurate Varmint Rifles"
Well it’s about darn time. FINALLY a major gun-maker is bringing the guns to the people — with a traveling road show that lets potential customers sample a variety of rifles. 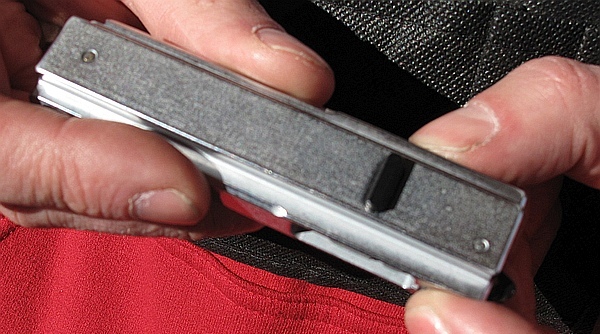 Smart idea, and we hope other manufacturers follow Savage’s lead. The 2017 Savage Trigger Tour is a series of free, open-to-the-public events hosted at ranges across the country. The Trigger Tour showcases several different models, all outfitted with Bushnell optics and fueled by Federal Premium and CCI ammunition. Savage Arms staffers will be on hand to answer firearms questions and help customers. Firearms types will vary with location. The available Savage rifles may include these popular new offerings: 10 BA Stealth (.308 Win/6.5 CM), MSR 15 (AR15 platform), MSR 10 (AR10 platform), A22 .22 LR Rimfire, A17 Target Sporter 17HMR. 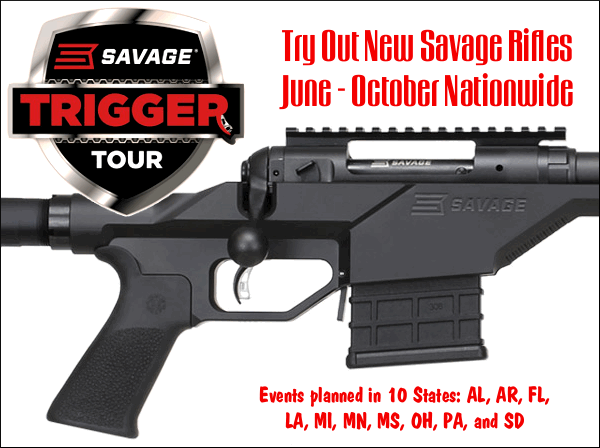 The Savage Arms Trigger Tour runs from June through October, starting with events in Louisiana, Arkansas, and Minnesota. Other planned locations are: Alabama, Florida, Michigan, Mississippi, Ohio, Pennsylvania, and South Dakota. CLICK THIS LINK for specific dates and locations. NOTE: Locations and dates may change or be added. 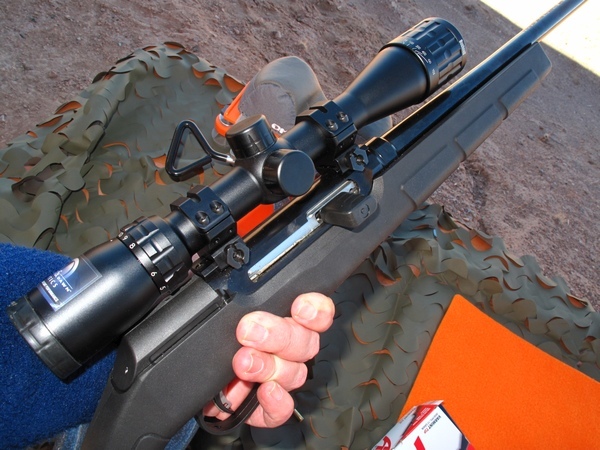 One popular rifle shooters can test is Savage’s model 10 BA Stealth, chambered in 308 Win. 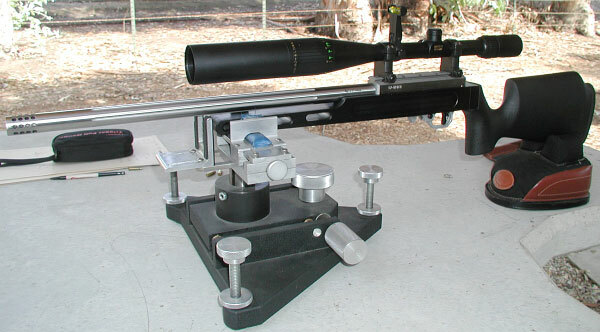 or 6.5 Creedmoor. Suitable for PRS factory-class comps, this rifle features a lightweight, modular chassis with adjustable rear section. 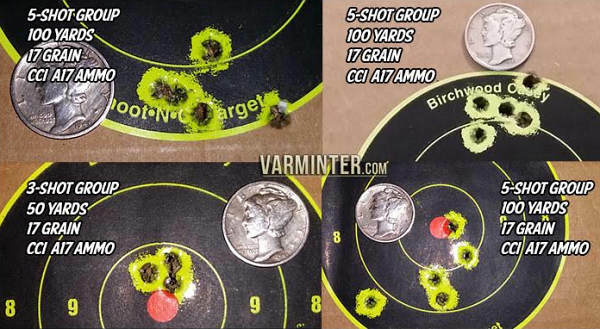 The 6.5 Creedmoor version of the 10 BA Stealth has shown good accuracy in Defender Blog Field Tests. Savage’s new AR15-Platform MSR 15 Recon could also be on hand. Chambered in .223 Wylde, the MSR 15 Recon offers a high-performance 16-inch barrel with 5R button rifling and zero-tolerance headspace. The Trigger Tour will also feature the MSR 15’s big brother, the new MSR 10 Hunter. Available in 308 Win. or 6.5 Creedmoor, this purpose-built, compact AR-10 platform is designed for deer hunting and general field use. 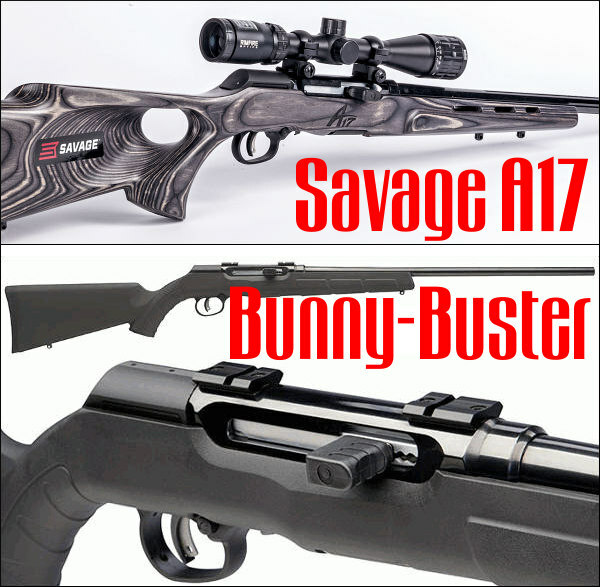 Trigger Tour events might also feature Savage’s popular A-Series semi-auto rimfire rifles. The A22 features a straight-blowback .22 LR action, user-adjustable AccuTrigger, thread-in headspace, button-rifled barrel, and composite stock. The A17 Target Sporter Thumbhole features a unique delayed-blowback action that delivers safe, reliable performance with standard 17 HMR loads. For more information, including specific dates and locations of Savage Arms Trigger Tour stops, please visit www.savagearms.com/events. 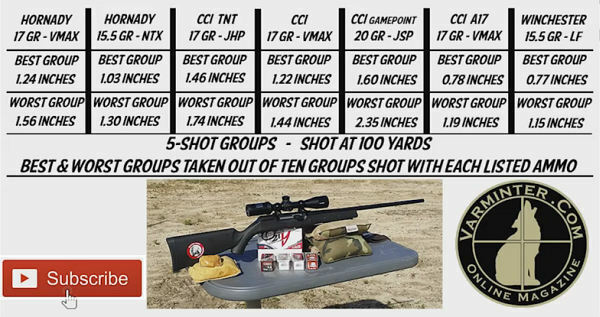 Share the post "Trigger Tour — Savage’s Traveling Rifle Road Show"
Share the post "17 HMR Savage A17 Field Test"